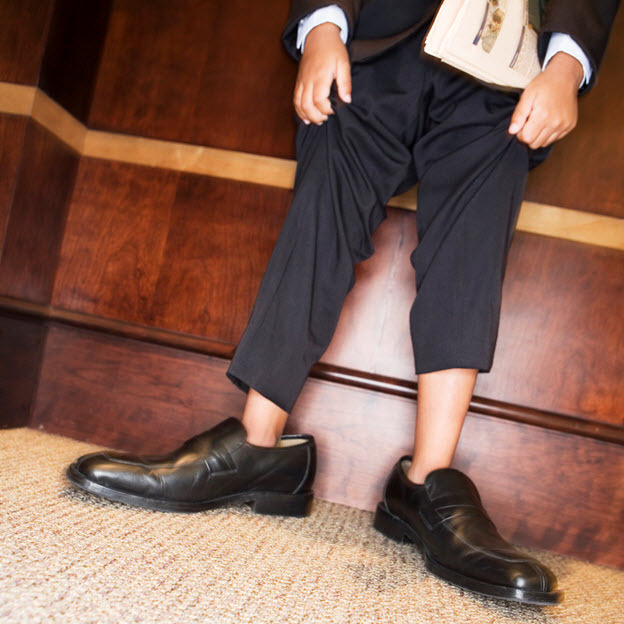 Revit Family File Size | How Big is TOO BIG? 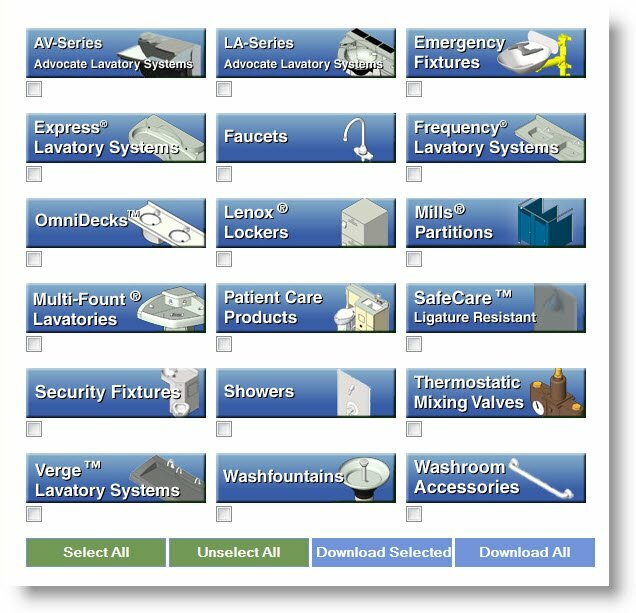 In Autodesk Revit, "the component" that you insert into a project; (like a window, door, chair, a grab bar or plumbing fixture), is defined as a Revit Family. An AutoCAD user, may define a family as a Revit BLOCK. 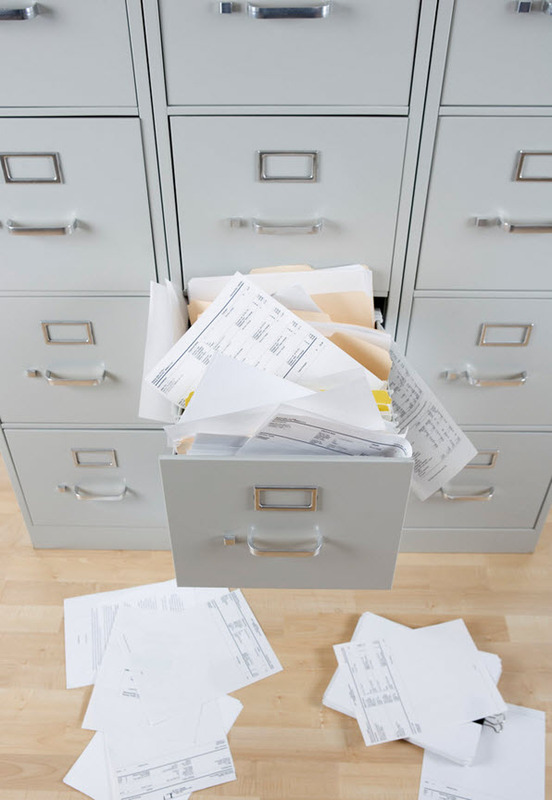 Under best practices; the project's BIM Manager reviews and if necessary tries to minimize the file size of each Revit family; PRIOR to loading them into a Revit project. Bradley understands the importance of small Revit family files sizes and the value of this Revit-BIM Manager task. The Bradley BIM Team invests engineering time to shrink and test Bradley Revit family file size performance in real Revit projects. Bradley Revit family tests are conducted usinng workset & non-workset based Revit projects. Here is a short list of "Bradley Revit-BIM Family Quality Standards | Top 10 FAQs" that we use to minimize Revit family file size. 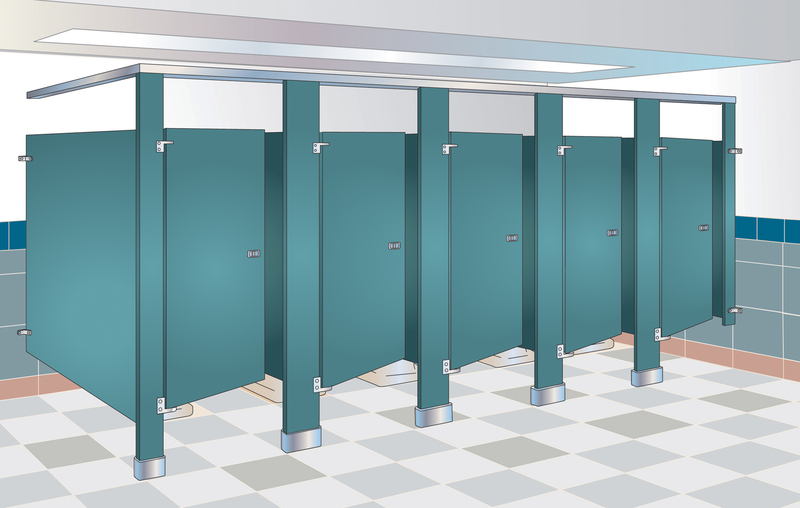 Which of these processes has the biggest impact on the performance of a Revit Project? 2. Revit Family Visibility Settings? While both are significant, our tests have found setting the correct Revit Family Visibility Settings for the project's Revit families has a larger impact on the Revit Project performance. 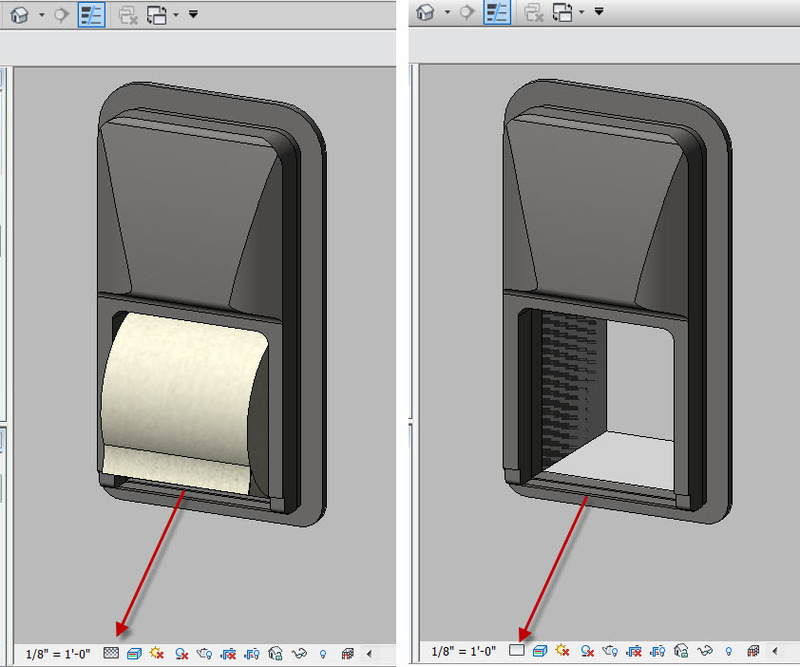 Client Question: The various Bradley Toilet Tissue Dispenser Revit models display a toilet paper roll. When I load the Revit model, the paper roll does not always display in my Revit project views. How can I best control the paper roll visibility? 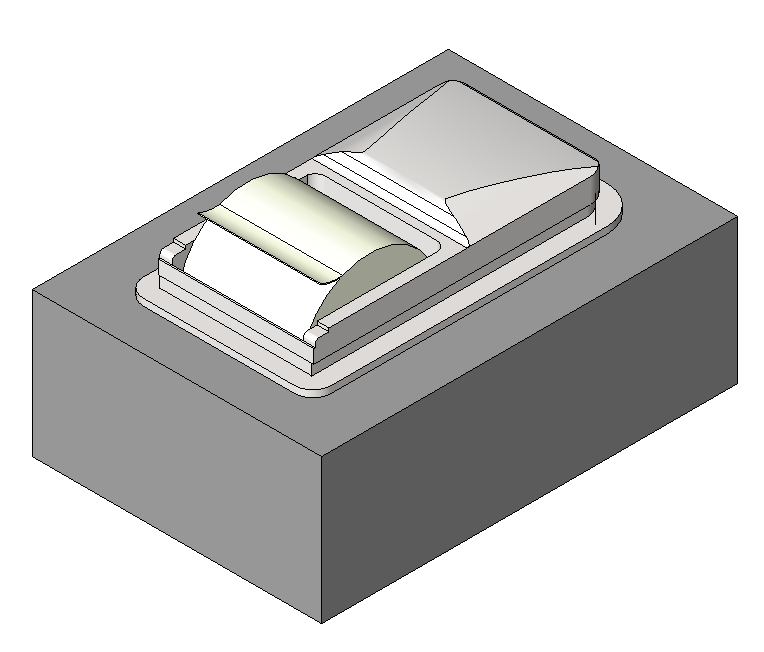 I'll use a Bradley Diplomat (Recessed) Dispenser Revit Model in this tutorial. 1) Verify the Paper Product Visibility Parameter is Turned ON; when the Revit family is selected. 2) The Toilet Paper Roll visibility setting is ON -for Medium / Fine, not Coarse. 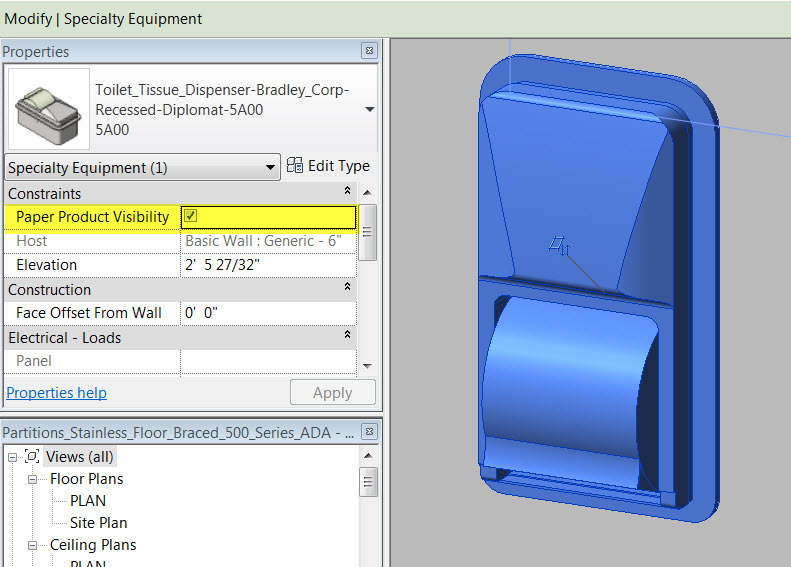 3) Open the Bradley Revit family and change the Visibility Settings for COARSE. Check the Coarse Setting to enable viewing of the paper roll with Coarse setting. * Tip: Notice the 3D solids' visibility settings are unchecked (OFF) for Plan/RCP, Front/Back and Left/Right -so solids are not visible in the orthographic views. After changing the visibility setting, load or reload the family into the project. 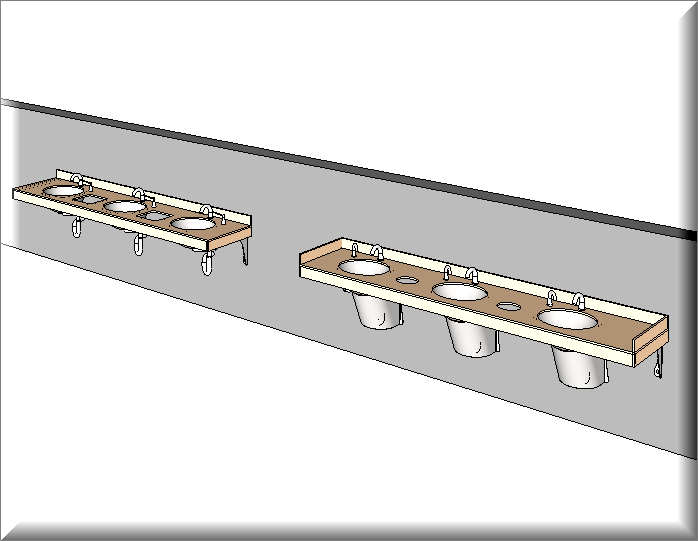 Bradley Revit Toilet Partitions continue to be one of Bradley's Number 1 Revit family download from the Bradley Revit Family Library. I successfully loaded a couple Bradley Revit family files into my Revit project.